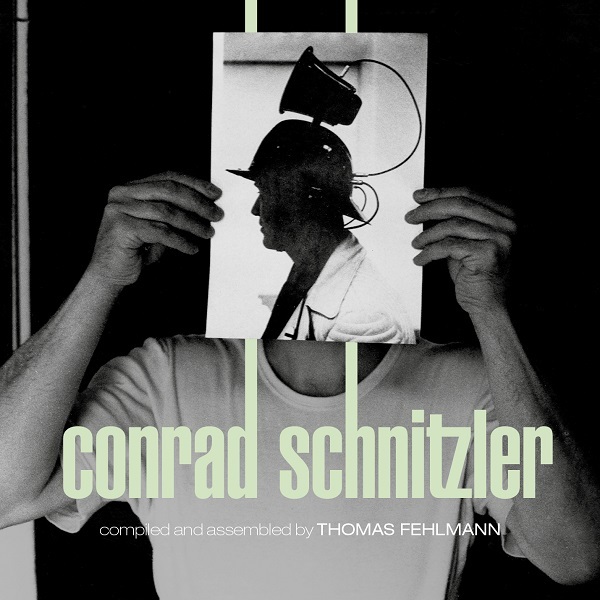 Conrad Schnitzler, who passed away in 2011, was an extremely prolific and pioneering composer, concept artist, and one of the most important representatives of Germany’s electronic music avant-garde. He was an early member of both Tangerine Dream and Kluster. In 1979 Conrad gave a guest lecture on the extended definition of art established by Joseph Beuys and how it can be applied to music. One of the attendees was Thomas Fehlmann, who later gained recognition in the band Palais Schaumburg with Holger Hiller in 1981. In 1990 he became a member of The Orb, playing an important role in Berlin’s electronic and club scene. Now things have come full circle and Thomas is the curator of Schnitzler’s music for the latest in the Bureau B Kollektion series. A question immediately comes to mind. Is this new release a compilation or a mix? In reality it is somewhere in between. Thomas selected various pieces from Schnitzler’s white period (all the album covers were white and black), and presents them in a seamless (re)arrangement that creates a new listening experience. His choices were musical, not chronological. Many of Schnitzler’s compositions can be challenging – you have to be in the right frame of mind to enjoy them. The pieces on Kollektion 5 tend to be the more accessible of his output. Fehlmann drew music from Contempora, Conrad & Sohn, Consequenz, Con3, and Congratulations, all from the early 80s. His goal was to condense Schnitzler’s versatility, his inventiveness, and wit into a single musical journey. He succeeded, and it is remarkable how the music flows, especially when these pieces are taken out of context of their original albums. If you have never experienced Schnitzler, then Kollektion 5 is a great point of entry into his world.